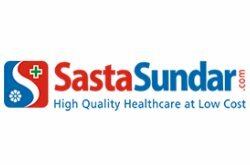 SastaSundar.com in association with Gloheal by TATA Communications launches Telemedicine facilities through their Healthbuddy centres across West Bengal. As per WHO (World Health Organisation) reports, 65% of Indians do not have access to consistent affordable healthcare facilities. More than 90% of complications can be avoided if medical attention is provided at the initial stage of disease. Not many doctors are available across the geography of India particularly in rural areas. Simultaneously, tough accessibility to visiting doctors, procuring appointments and travelling to distant doctor chambers make it inconvenient for people to go and consult a doctor. Genuine medicine, accurate diagnostics, convenient consultation of doctors are what the Healthbuddy centres of SastaSundar.com is providing at various locations. The company today announced the launch of the facility of Telemedicine in their range of healthcare services in association with leading virtual consultation platform, Gloheal, powered by TATA Communications. The digital technology via audio-video medium can provide a unique opportunity to diagnose and provide consultation. Mobile phones have small screens and diagnostic facilities cannot be installed at all places. Therefore, to get the complete connectivity in an integrated manner, telemedicine is a unique solution wherein at one connect point, the doctor is available and can be accessed by the patients from multiple connect points via audio-video chat. Both the connect points are characterised by big display screens of 23.8 inches each. These points are also equipped with facilities of diagnostics and counselling by pharmacists to understand the prescriptions and be physically present to understand the patients. “A large segment of the Indian population, especially the remote and rural areas, do not have consistent access to affordable healthcare. The introduction of Telemedicine, in SastaSundar.com’s ambit of healthcare services, endeavours to address this issue directly. By ushering quality healthcare closer to people via Gloheal’s virtual consultation technology, telemedicine will connect remote rural areas with complete healthcare solution”, said Mr BL Mittal, Founder & Executive Chairman, SastaSundar Healthbuddy Limited. Through real time audio-video chats, patients seated at Patients’-End-Points (PEPs; SastaSundar local Healthbuddy centres) can consult doctors and specialists, of their own choice of specialty, seated at Doctors’-End-Points (DEPs). Upon registration, the patients will digitally be able to avail consultation, maintain health profile and update & share records for the doctor/s to view, review and prescribe – all with a minimal fee payment. Likewise, with the help of digital pens and telemetry devices, the doctors/specialists will suffice necessary prescriptions, diagnosis and referrals. Having recently started operation, the Telemedicine facility is currently live at 10 Healthbuddy centres across West Bengal and 1 DEP at Salt Lake, Kolkata. The service will be panned to cover increasing PEPs and DEPs in recent future to connect patients with doctors across wide distances.